Heading towards darkness – Escape Reality, Read Fiction! Things are always darkest…just before they turn completely black. And that is how urban fantasy series tend to go, at least based on recent reading. 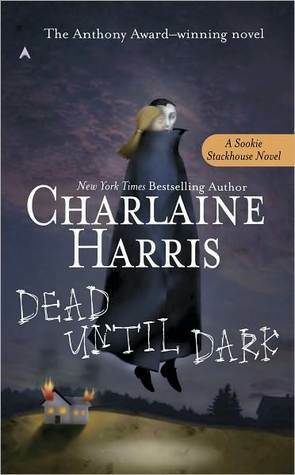 I just finished the latest Sookie Stackhouse book, Dead Reckoning, from Charlaine Harris. And, I also just read the story Aftermath (from the Dresden Files anthology Side Jobs by Jim Butcher) that takes place a couple of hours after Changes. And neither story is exactly what anyone would call lighthearted. 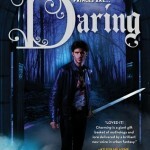 Urban fantasy has a pretty shady premise to begin with. The myths and legends, the darkness under the stairs, the things that go bump in the night, are real. Magic works. But it’s not just Glinda the Good Witch who is alive and well, it’s also the troll under the bridge. And there are more trolls under more bridges than good witches–or good wizards. Sookie, in her very first outing, Dead until Dark, was a fresh voice. Her point of view was frequently laugh-out-loud funny, even when she was laughing at herself. But Sookie’s world started out very small, because the book, and the series, is about Sookie’s journey. When she meets Vampire Bill, she discovers the world beyond Bon Temps, LA, and more important, it discovers her. Her ability to read minds is a prize, a talent that can be used, and as she explores the greater world, she learns that it is a very dark and dangerous place. She finds love, loses it, and finds it again. And looks to be losing it again. She learns that there are more dangerous things out there than she every imagined, and that she is becoming one of them. Harry Dresden has always been the only wizard listed in the Chicago phone directory. In Storm Front, the first book of the series, Dresden operates mostly as a private investigator, barely making enough money to scrape by. In fact, he never seems to do much better than scrape by. But he becomes much more than just a paranormal private investigator. As the series progresses, Harry becomes more and more involved in both wizard politics and mob shenanigans in Chicago, as well as having issues with the Summer and Winter courts of the Fae. As his power grows, so do the numbers and strength of his enemies. In Changes, the latest book in the series, every enemy of Harry’s comes to get him, and every part of Harry’s life alters, seemingly not for the better. 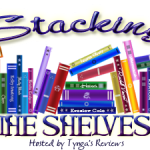 The short story Aftermath, the last piece at the end of the Dresden Files collection Side Jobs, is seen from Karrin Murphy’s grief stricken point of view as she attempts to pick up the pieces of Harry’s supernatural gate-keeping in the wake of his apparent death. There are similarities between the two series. Both are told from the first person point of view. When you read, you are in either Sookie’s or Harry’s headspace, seeing what they see, hearing what they hear, knowing what they think, but not knowing what anyone else thinks. They have to be likeable characters, or it’s not possible to stick with the series. Sookie laughs at herself and her telepathic ability, Harry has a fine line in sarcasm. It makes both their internal voices extremely funny, even if under some circumstances it’s gallows humor, sometimes literally. 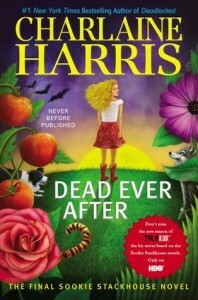 Urban fantasy is a second-cousin to horror–there is a lot of death to deal with, and sometimes Sookie or especially Harry are its instrument. They both regularly consort with vampires. Two of Sookie’s lovers are vampires, as is Harry’s brother. Vampire politics are always… complicated. Something about living for hundreds of years seems to demand convolution in political relationships. But long term series have to progress in some way, or get stale. When it’s a cozy mystery in a small town, although it is nice to find out what all your favorite characters have been up to, one does start to wonder if the dead bodies are starting to outnumber the living! In an urban fantasy, the hero or heroine is usually in the process of either discovering their power or discovering the true strangeness of the world around them. As the world gets stranger, then what? In Sookie’s case, things get more dangerous. She gets deeper into the netherworld of vampires, werewolves, shapeshifters, fae. The more she learns, the darker the books get. Dead Reckoning does not have a happy ending. Or, to use a different metaphor, eating the apple from the Tree of Knowledge caused the exit from Eden, not the entrance. The more Harry develops his power, the more dangerous he becomes. In order for him to be challenged, his enemies must also become more deadly. This does not a happy ending make. The upcoming book in the series is titled Ghost Story, and it looks a LOT like Harry is the titular ghost. Yet another book to be read with the lights on. I can hardly wait! Will ebooks kill print books?